There are a ton of problems that a business has to take when a flood or aquatic catastrophe has occurred. You have to deal with the timelines of when your business can be operational, ensure that your business is up to OSHA standards for your employees and a whole slew of other problems. But before you deal out the checkbook and start tossing money around, consider the benefits of commercial water damage restoration. Over 50% of water damage done to an area can be repaired, but most people will go through the process of water damage restoration when it could save them thousands of dollars. 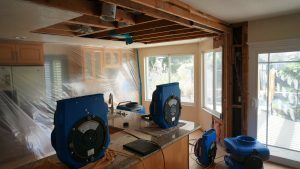 Dehumidifiers: Dehumidifiers make the air drier and thus make it easier for us to perform our jobs by manipulating the environment to be favorable. Air Movers: By using air movers we can move particles through the affected materials which increase the rate of drying. Air Scrubbers: Air scrubbers are portable filtration systems which move the air and moisture through filters which increase the quality and cleanliness of the materials. 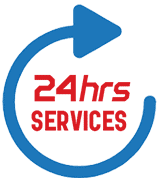 We provide the best water damage restoration services in Jacksonville, and we are open 24 hours a day. If you fear for the cleanliness and the quality of your business, do not hesitate to call us at (904) 574-5100 for your free consultation.